How Many Calories in a Plum? Before we see the calories in plum, lets first we look what plum fruit is. The fruit shape is round with a sweet taste. Skin color varies according to the level of maturity, there is a bright yellow and there is also purple and dark red and blackish. Plums contain tremendous health benefits. It tastes sweet, so many people love this fruit. While the weight per plum fruit reaches 50 grams to 100 grams. Plums have large seeds in the middle of the fruit and this should not be eaten. While the flesh is thick and juicy with fiber texture and has a sweet taste. In the United States often encountered plums of red color, blackthorn plum and Italian plum. Many ask, how many calories in a plum? You do not need to worry because plums include low-calorie fruit and have a high nutritional value. Another advantage of plums is free of saturated fats. Plums are a source of high antioxidants, this fruit has ORAC at 7581. It is higher than antioxidant in blueberries, apples and blackberries. High antioxidants are very useful for the health, it slows the aging process and eliminate free radicals. Plum is also a great source of nutrients such as vitamins and minerals. Among the existing vitamins are vitamin K, vitamin C, E and A. In addition, this low-calorie fruit is also an important source of minerals such as Zinc, Phosphorous, Manganese, Selenium, Magnesium, Copper and Iron. 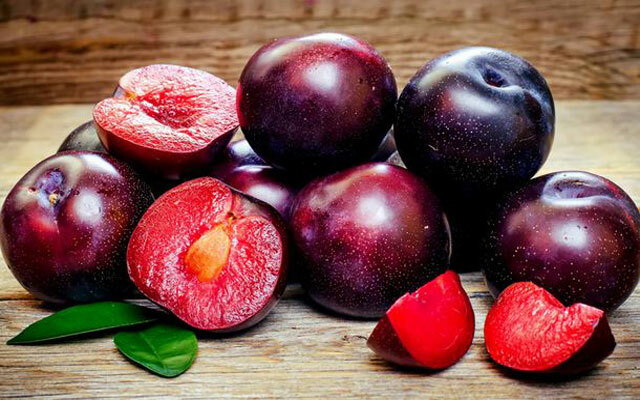 Plum is famous for low-calorie fruit, but how many calories in one plum. Here we do not measure the number of calories from each plum because the weight of the fruit varies from one to another, but we measure it by the number per cup. 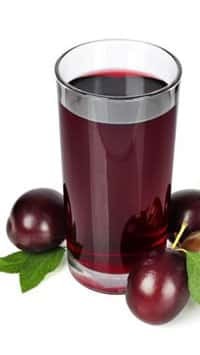 In one cup plum contains only 76 calories. For those of you who are dieting or have attention to weight, plums can be your friend. The dried fruit has another name, that is prunes. But dried fruit is also often referred as dry plum. The drying plum is usually selected from high-sugar fruits and acidity. However, that does not mean the fruit is high calorie. Dry plum is solid and chewy, for one prunes contains 23 calories. While prunes juice is a juice made from dry plums or fresh plums. This drink contains higher calories. For one cup prunes juice contains 182 calories. If you like this juice you should not drink one cup at a time but drink half and leave some of it. You can also make a half cup so the calories are not too much. Essentially, plums are low-calorie fruits. But when this fruit is processed into a prunes product then the calories can be increased. Plum fruit product Producers usually add sugar in their products. It is certainly increases the number of calories for plum. Plums are just like blueberries, dark leafy vegetables like spinach and kale. They are foods that contain oxalic acid, consuming too much oxalic acid can cause crystallization in the urinary tract. So, every time you consume plums, drink plenty of water to cleanse the digestive system. Usually, this fruit is enjoyed immediately after being taken from the tree. However, for better health, you should clean the plum with clean water. Use baking soda to clear all plum surfaces from possible pesticides. Eat the flash only, while the seeds must be removed because they can not eat.